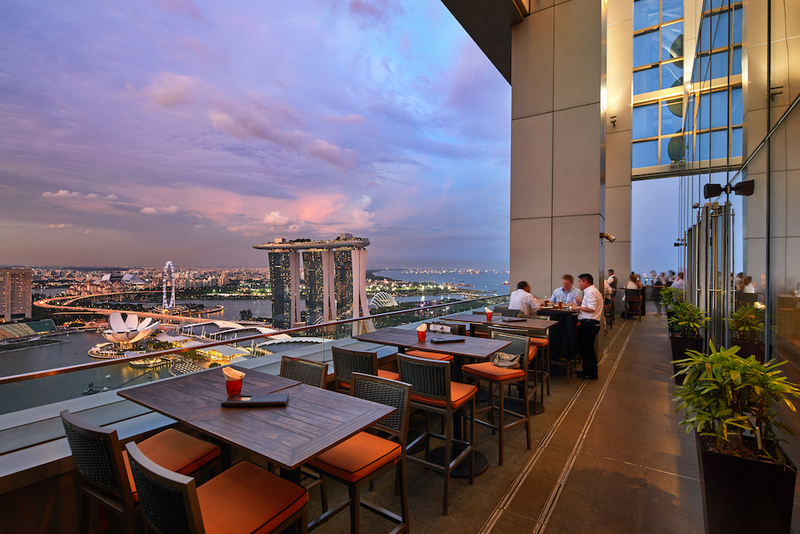 People often think the north of Singapore is boring as it comprises mostly residential neighbourhoods. 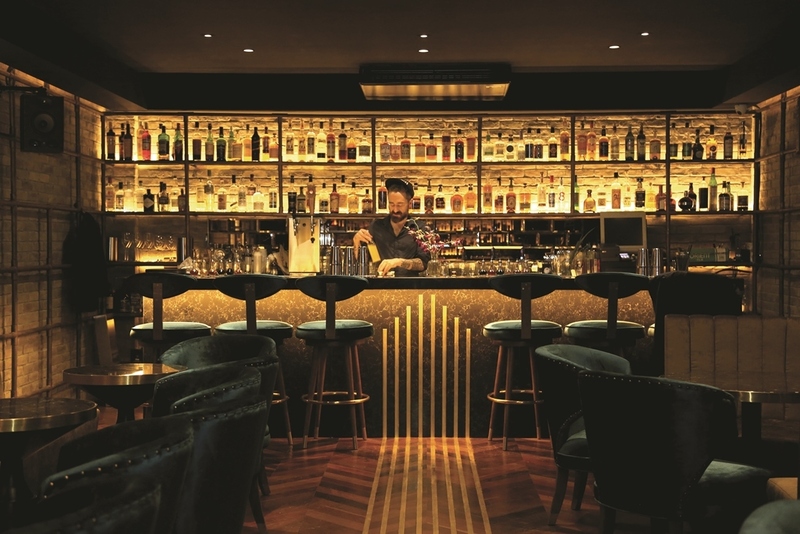 But if you know where to look, you can find a handful of wallet-friendly bars offering good food and drinks set in a serene ambience. 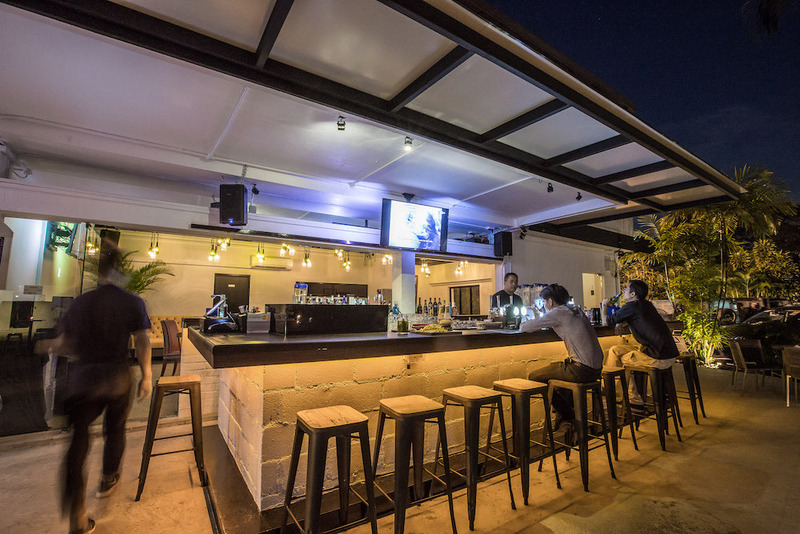 Swing by one of these bars located around Woodlands, Sembawang and Yishun for a relaxing night out if you want to be away from the city crowd. 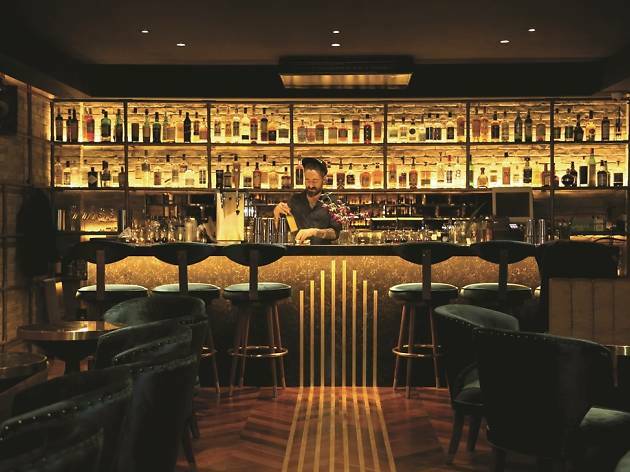 Look out for horses as you sip on your tipples at Cheval. 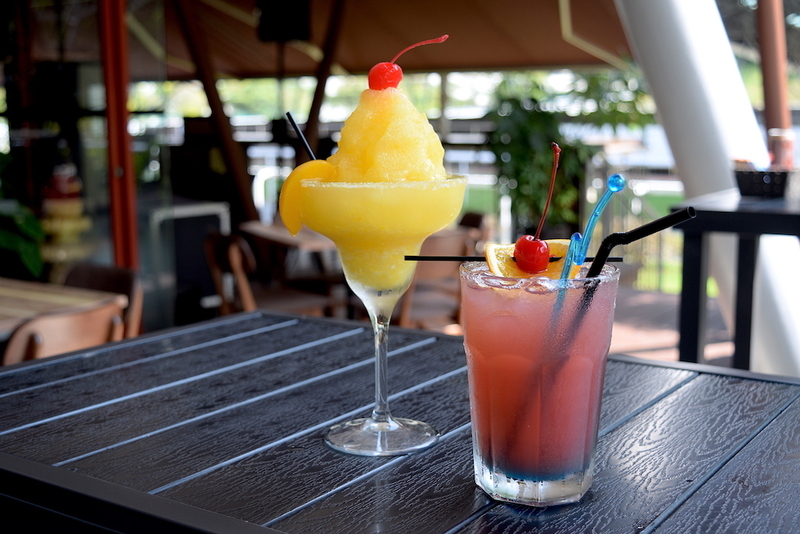 This café, bar and bistro located within the Singapore Turf Club Riding Centre offers a good selection of alcoholic drinks – red and sparkling wines, frozen cocktails like frozen margarita, and draught beers – at affordable prices. If you catch the Happy Hour promotion from noon to 9pm, you’d be treated to deals like $12 house-pour wines. 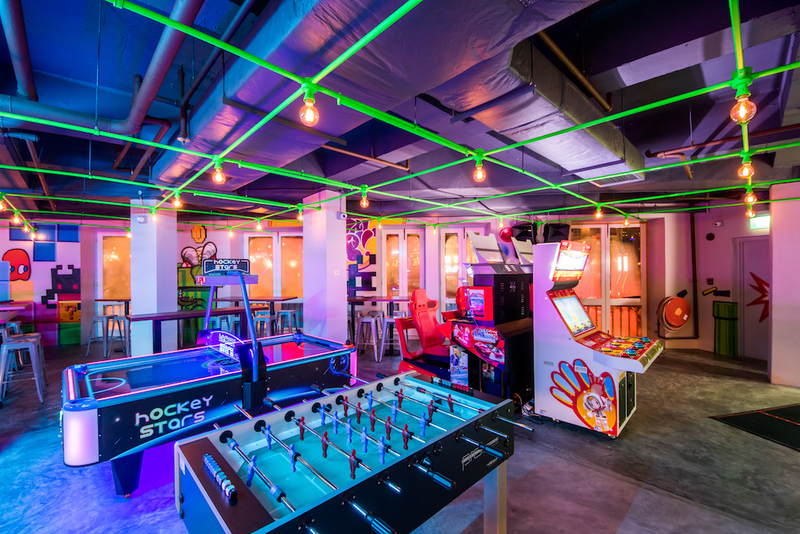 3O1 Bar & Kitchen is a one-stop entertainment centre in the north, offering both indoor and alfresco dining as well as dart machines, pool table and a karaoke hall on the second floor. It serves a large range of bottled beers, including draft Bavaria ale and la trappe whitte beer, hard liquor and cocktails. 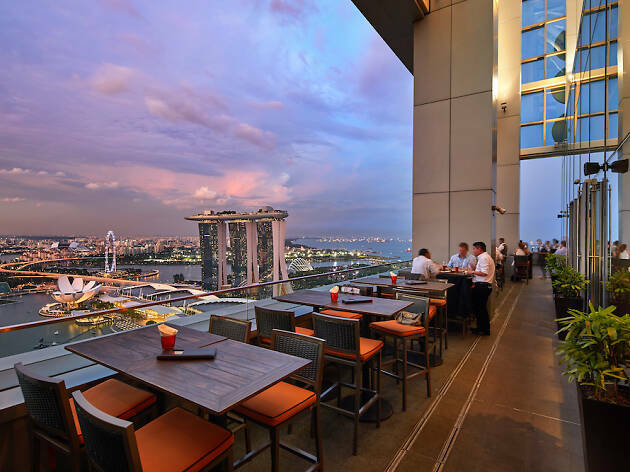 Food options include western and Asian offerings from rib-eye steak to its popular hokkien mee – so you can find something that’s to your liking here. 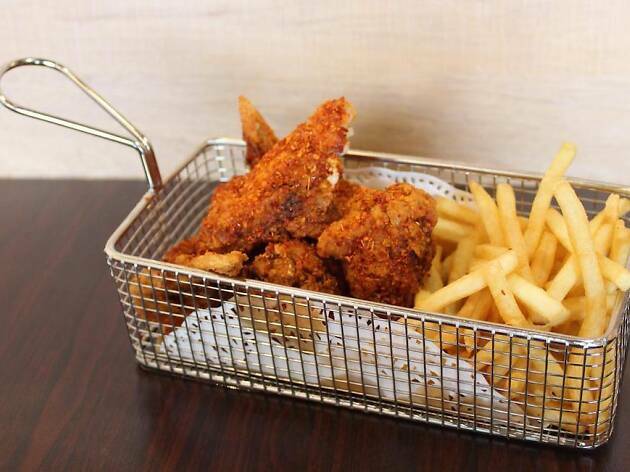 Currently, it’s got a beer and fries buffet promotion at $38.80 for men and $30.80 for ladies. 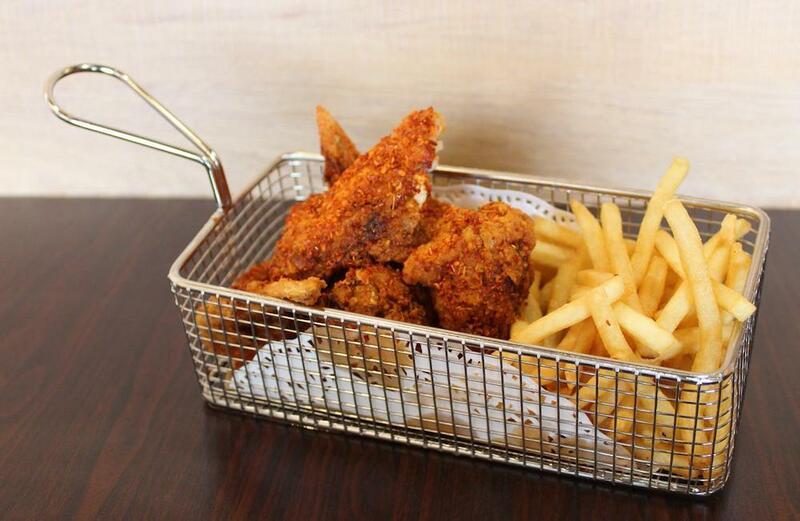 Located in ORTO, a 10-minute walk away from Khatib MRT station, is BKK Bistro & Bar. This place is well-known for its boat noodles that cost just $0.80 a bowl. Give that a try or order one of its light bites like the Vietnamese spring rolls to complement your booze – it offers quite a selection of beers like Hoegaarden, Budweiser and Sapporo. Dine while prawning as this bistro is situated by a prawning pond. 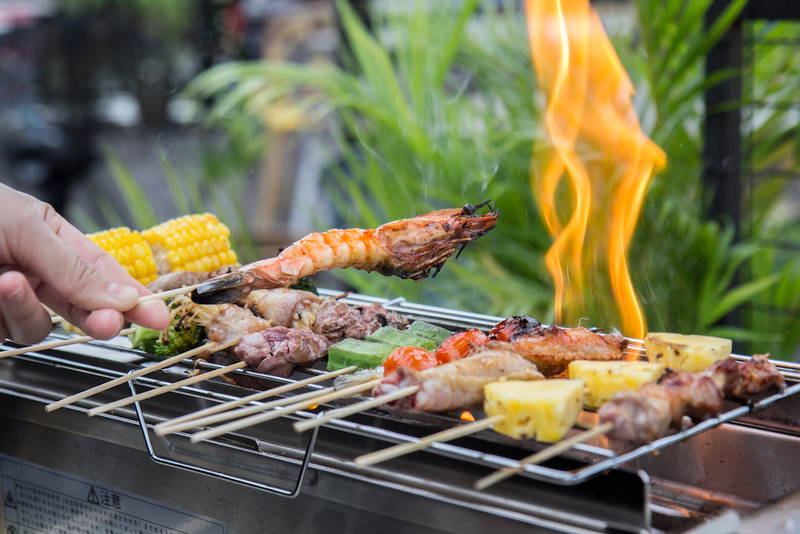 If skewers and beer sound good to you, head over to Kamikaze. 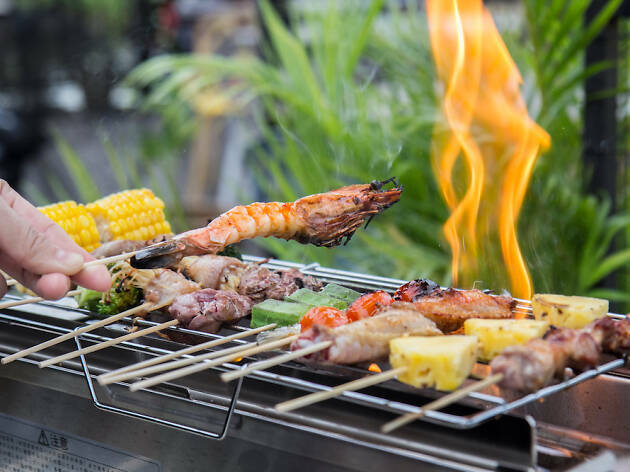 Also situated in ORTO, it’s popular for its $0.90 skewers that come in a variety of options like broccoli, chicken thigh and pork belly. 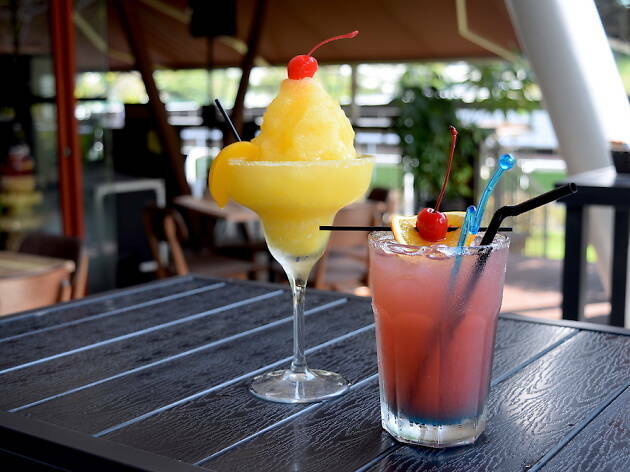 Wash it down with enticing beer bucket and tower deals, with options like Peroni, Budweiser and Asahi. Offering both indoor and alfresco dining, along with views of the prawning and main fishing ponds in ORTO, Quench! 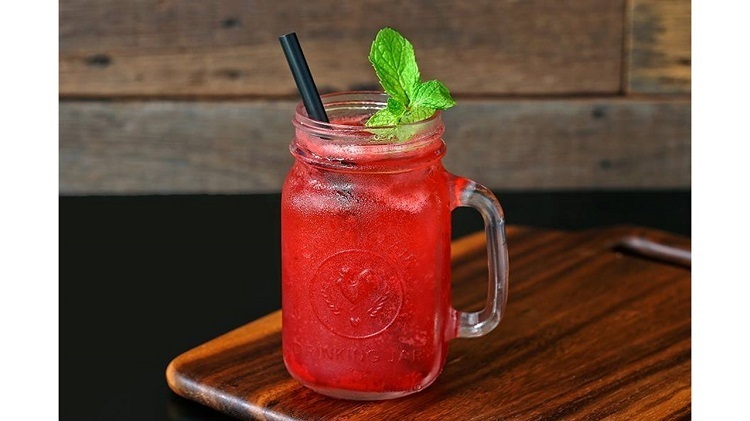 exudes laid-back kampung vibes. 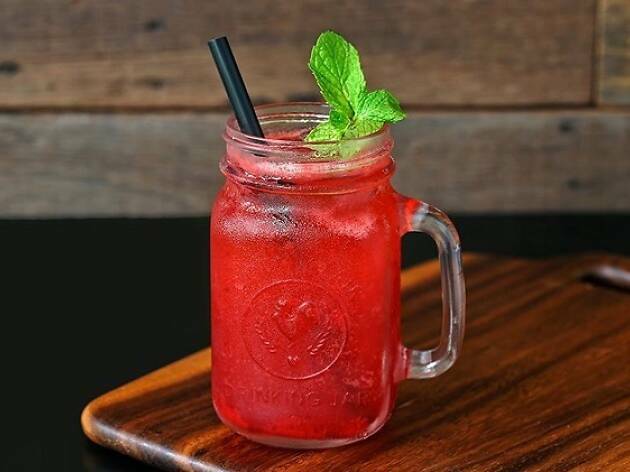 Look forward to alcoholic beverages ranging from draught and craft beers to soju, and affordable bar bites like luncheon fries ($7.90) and fried chicken wings with waffle fries ($12.90) to go with your drink. Started in the 50s, Nelson Bar used to be frequented by sailors and captains who docked at the Sembawang naval shipyard, making it one of the oldest bars in Singapore. 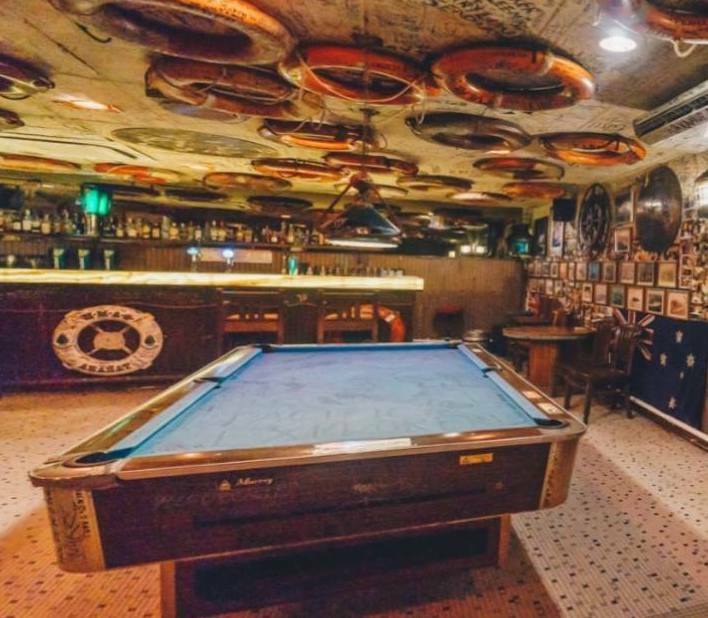 The bar’s history is still retained through pieces left by sailors – old pictures, life buoys and scribbles on walls – and a pool table that’s made out of decommissioned ships. 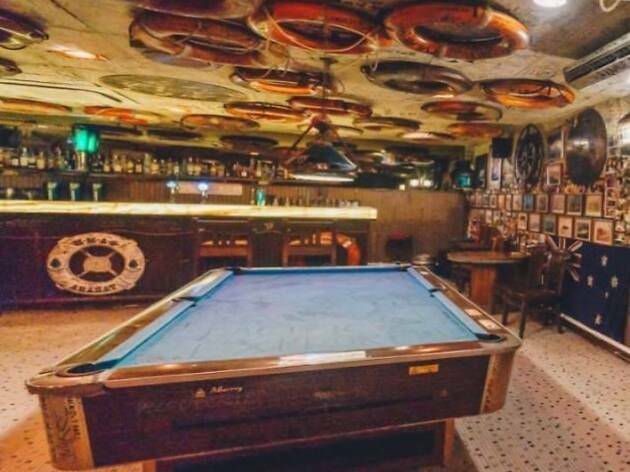 Come experience this nostalgic spot and perhaps learn a thing or two about this bar’s past over some drinks and a game of pool with friends. 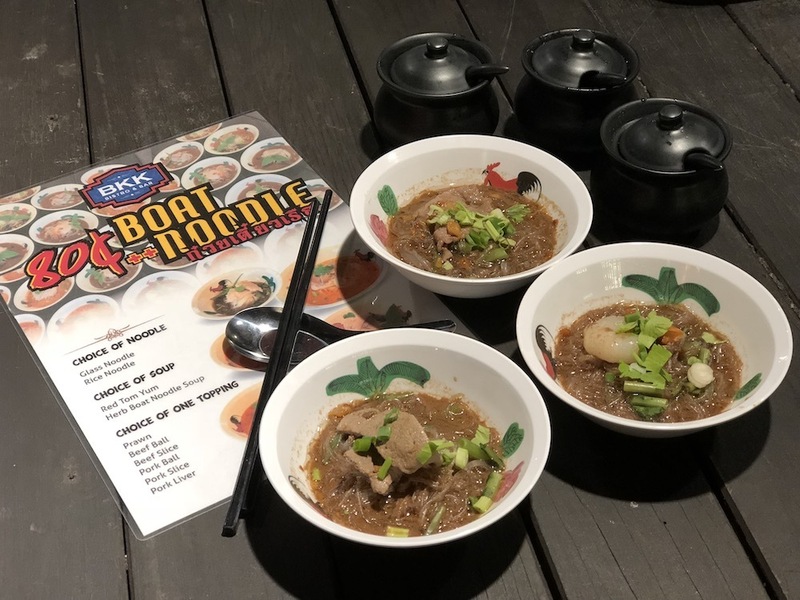 Located in the Woodlands industrial area, this restaurant-bar offers steamboat with a plethora of ingredients. Choose from three types of soup base and pile on your favourites – perfect if you’re feeling a heavy meal. If you want something light, you can always opt for bar snacks like the mala chicken wings. 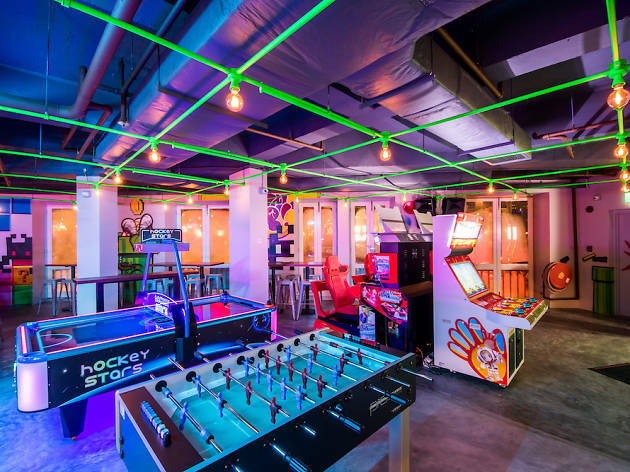 This spot also offers different activities like karaoke, darts, pool and card games to let loose and chill after a day of work.